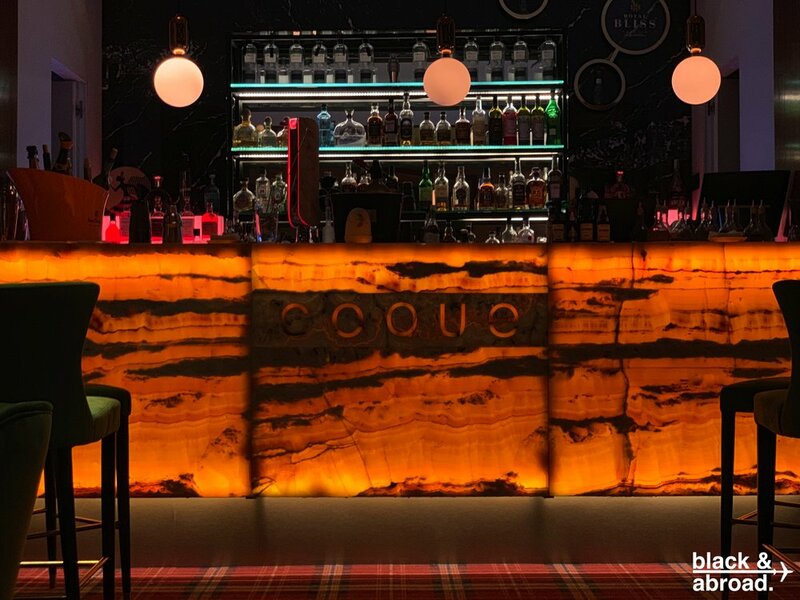 Photo courtesy of Coque Madrid. 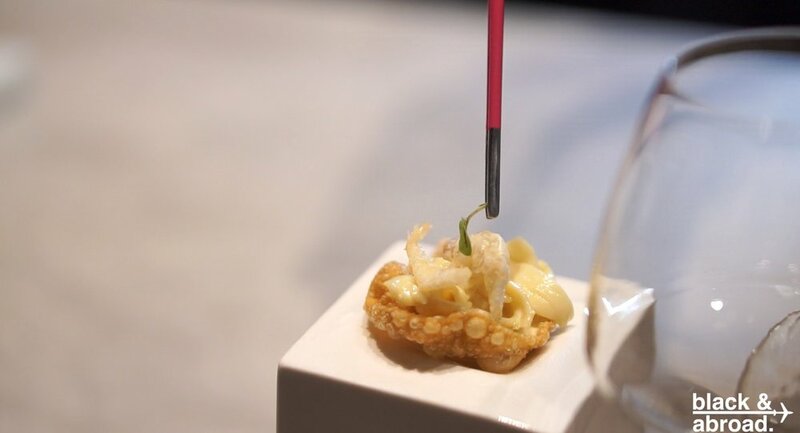 The dedication to every little detail makes the dining experience at Coque stand out. 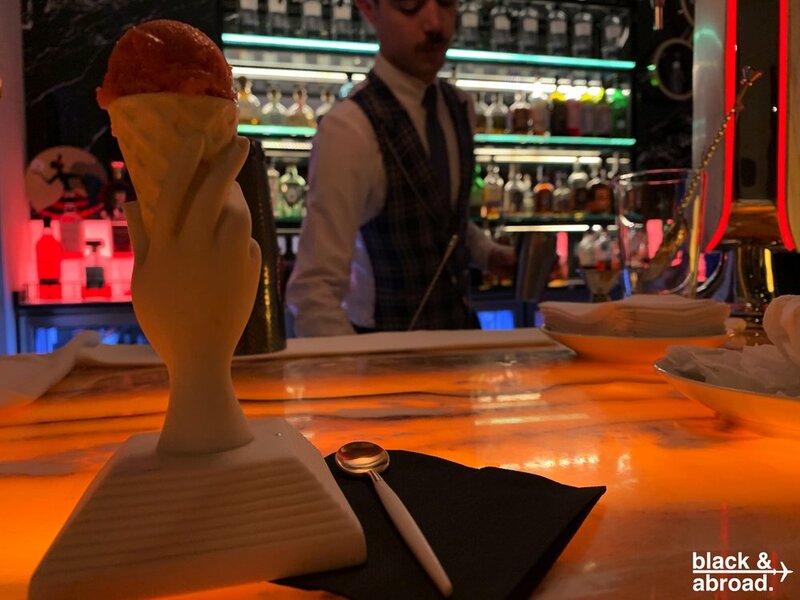 When you arrive, you’re taken downstairs to the restaurant’s bar to commence your journey through the menu, starting with a signature drink and a palate cleansing Bloody Mary ice cream. 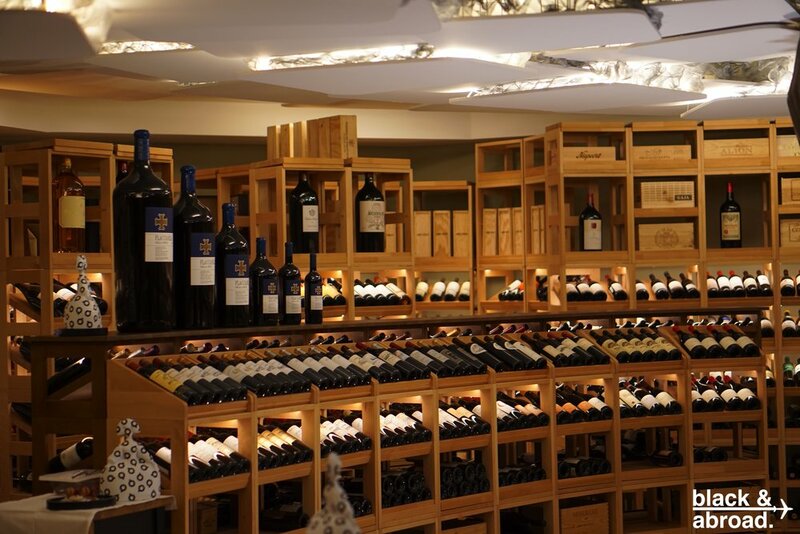 Your prepped palate, along with your sparked curiosity will be led into the wine cellar for a savory take on macarons, paired perfectly with selections from the wine collection. Your first starter, a scoop of Bloody Mary ice cream. One of Coque’s sommeliers aerating the wine pairing for starter #3. Ever had a paprika flavored macaron? It’s one of the six starters you’ll have as you make your way through the restaurant. You’ll then venture into the champagne room for a flute of vintage Dom Perignon paired with a melt-in-your-mouth truffle. It’s at this moment when you realize that your meal is truly a field trip throughout the restaurant, and you start to settle in for the rest of the experience. Lucky for you, there’s an air of warmth and invitation throughout the restaurant, due to the kitchen’s open layout and bright demeanor. Although you’re guided through the experience you feel as though you could’ve approached a chef on your own to taste the next dish and ask questions about the ingredient choices. You’ll have two more starters while in the kitchen, along with a sip of a local beer and then your tour of flavor finds its final destination at a table for the main set of courses (9 in total. Yes, 9! Come with an empty stomach. 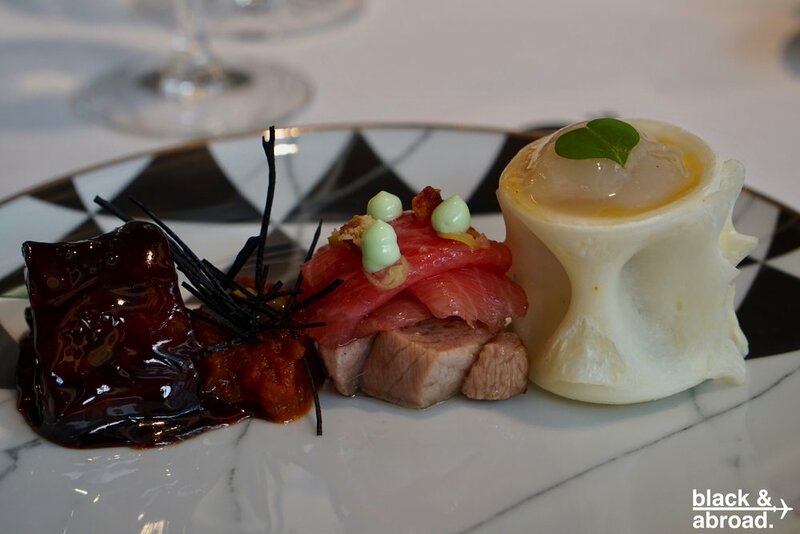 ), where you’ll truly get an exploration of taste, technique, and overall thoughtfulness which each dish placed in front of you. Head Chef Mario mixes the comfort of traditional Spanish flavors with an ingenuity and playfulness that makes for a full-on sensory experience. You’ll be there for about 3 hours in total, so don’t think of it as simply a meal, it’s a taste excursion. It would be wise to not make any plans after your reservation, as the menu is just as robust and you’ll likely want a moment to discuss the full experience you’ve taken in. After our meal, we took a visit back to the cocktail bar and got a chance to sit with the renowned Mario to chat about Coque and the menu and when we asked what he wanted patrons to leave with once they’ve experienced Coque, he replied that he wanted “first time visitors to experience all of the flavors of Spain, from the peninsulas to the mainland.” Mario’s favorite dish to make on the menu: the suckling pig. It holds a special meaning for him, as it’s a traditional meal from his family, made by his grandfather. Mario and his brother, Rafael (who is the sommelier and manager for the restaurant) are third generation restauranteurs. Food has been a member of the Sandoval family for quite some time. And his favorite on the menu to eat? He has four favorites, but you’ll have to ask him when you visit. FUN NOTE: The music selection in the restaurant is top notch. 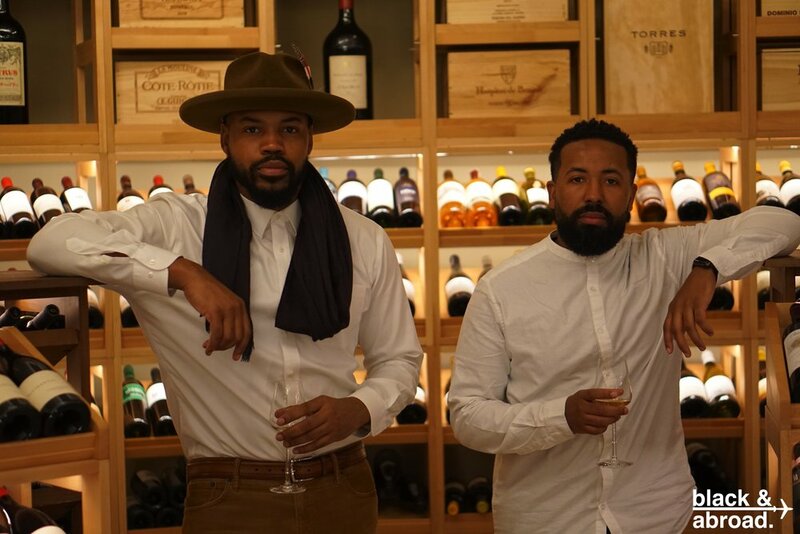 A surprising, yet appropriate groove of R&B, Hip-Hop, and other jams. A perfect pairing to your meal. Learn more about Coque and reserve a table at https://www.restaurantecoque.com. Special thanks for Madrid Destino for coordination of the dining experience.